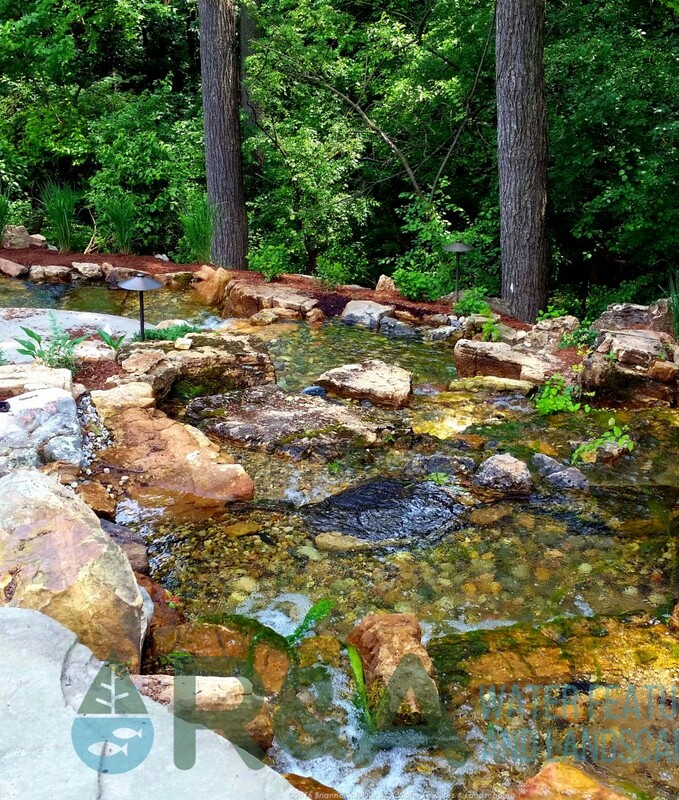 After your annual spring pond cleaning, your Grand Rapids pond looks crystal clear and aaaaamazing. Through the spring and summer months you may notice your pond water becoming cloudy, dirty, or *gasp* algaefied (sooner or later the dictonary will recognize this as a real word… YOLO and twerking were added, and upon hearing that I did a facepalm). ANYway…back on track. 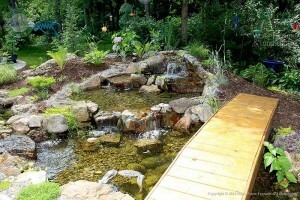 So its mid-summer or so, and your pond water is not the prettiest, so what is a pond owner to do? Here are 3 tips to keep your Grand Rapids pond clean between seasonal cleanings. Check your filtration and see if it is clogged up. It may just need a quick cleaning to get rid of the junk that it has been filtering out, after all it has been working pretty hard. If you haven’t changed your filter mat recently, consider having a new one installed. Falling leaves and debris can collect at the bottom of the pond, if the floating leaves are not taken in by the skimmer and then removed, they will decay and also create big water quality issues. So, try to clean out your skimmer basket and remove any fallen leaves to save you from headaches down the road. Algae is ugly…no one wants algae taking over their pond in Grand Rapids…or anywhere. So the best thing to do if you see algae, is to treat it as soon as possible. Preventative measures can be taken as well. An Ionizer is a a great way to take steps to prevent algae from taking over. It is a simple, adjustable, system that can be installed right in the plumbing of your pond. It has a replaceable copper probe that slowly releases copper ions into the path of flowing water. The ions treat the water by reducing string algae and overall reducing maintenance and the need for other chemicals. You can see the string algae in the bottom left photo. 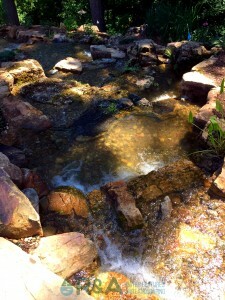 In the bottom right photo, the water feature was treated for string algae and you can see how clear the water is after. If you’ve followed these steps and don’t see an improvement, make sure to give us a call so we can find a solution to the problem. Check out our frequently asked questions to find answers to common problems, and make sure to check out some recent projects for inspiration for your next project.